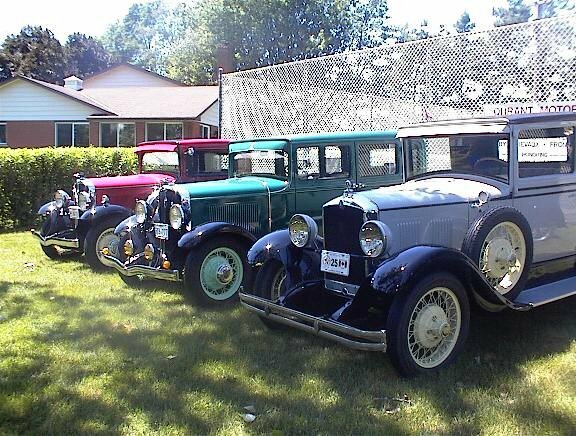 1924 Durant Model A22 "Jimmie"
Green Car - 1932 6-70 Frontenac Sedan is my car. 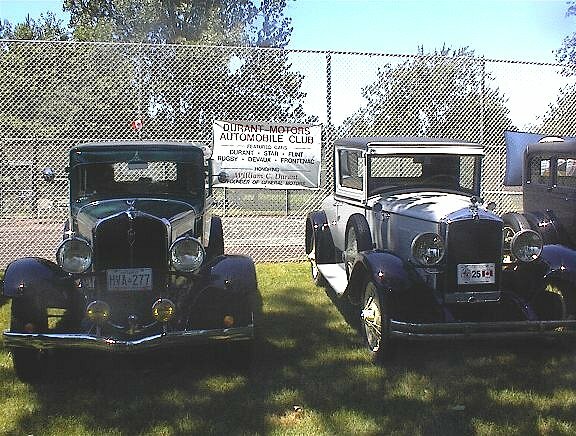 This car was driven to four of the five Durant meets. 1981 in Flint, 1986 in Wisconsin, 1994 in Fremont, Nebraska and 1999 in Waterloo, Ontario. Gray Car - 1928 Durant Coupe owned by George Vance, Michigan. The first time I saw this car was in Fremont, Nebraska and George and Marcia attended the 1999 Tour in Waterloo and most of the Durant Gatherings in Ontario.